We will take the time to ensure you are fully informed about the risks, benefits, and alternative treatment options to help assist you with making a fully informed decision. You always have a choice and we want you to be actively involved in your treatment decisions. 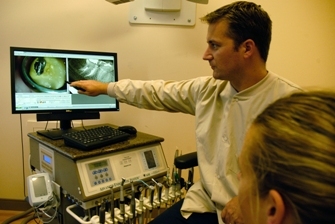 We will be very clear with you about the costs of your endodontic treatment. We will estimate your copayment, and it is the office policy that your expected portion is paid at the time of treatment. We can only estimate your insurance benefits based on information provided to us by your carrier. You are ultimately responsible for the full cost of treatment if the insurance company contributes less than expected.